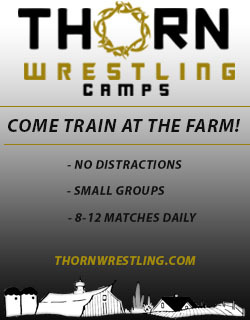 Coming into the 2015-16 season Iowa’s head coach Tom Brands was pretty open that he was looking for wrestlers to step up at three weight classes – 141, 157, and 165 – and assert themselves as “the guy” in the lineup. Now nearly two months through this college wrestling season, only one clear option has emerged from those three weights, with two more considered up for grabs. Senior Edwin Cooper has emerged at 157 pounds, having only missed one dual start this season against Iowa Central. While Cooper has had a few close matches, his defining moment was a 6-4 decision over Rutgers opponent Richie Lewis, which now has the Hawkeye ranked 16th in the country. The other two weights of 141 and 165 pounds are still searching for a solidifying moment to declare the definitive starter for Iowa. 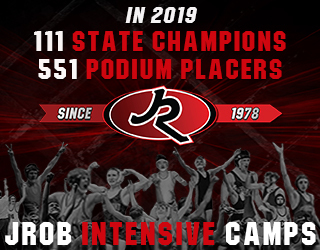 Both senior Patrick Rhoads and freshman Burke Paddock have traded starts through the first two months of the season at 165 pounds, but a bulk of those starts have gone to Rhoads. 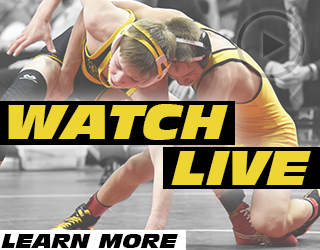 In addition to starting five of the eight duals, Rhoads also has gotten the call against all three ranked opponents Iowa has faced at 165 pounds, though the Hawkeye is 0-3 against that group. The main point for 165 is Brands’s willingness to continue to give Paddock starts (or the fact that he weighs in every dual meet) means that the door is not closed on the freshman, and with the Midlands tournament this weekend, both could have an opportunity to make their case for the second half run. 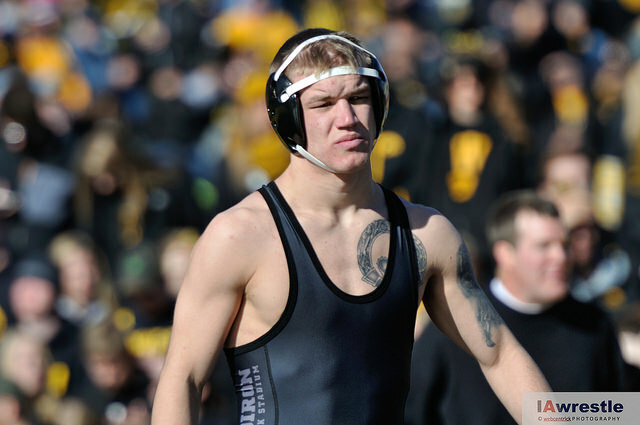 That leaves 141 pounds, which is probably the most unusual weight for the Hawkeyes. Prior to the start of the season Brands stated that both junior Topher Carton and freshman Logan Ryan were competing for the spot, but Brands also threw out that true freshman Vince Turk was in the running. Iowa’s history of starting a true freshman under Brands is well documented, but there has been plenty of speculation that Turk may be the one to break the trend. In addition to the trio above, last week’s post meet press conference Brands commented that senior Brody Grothus is now officially in the fold of vying for the 141 spot, after coming back from a preseason surgery. We will see who Brands gives his Midlands slots to (Brands never confirmed Grothus will be back in time for the tournament), but this will be one of the more interesting weights for Hawkeye fans to watch in the coming weeks. Topher Carton – Probably the preseason favorite to earn the spot, Carton’s start to the season was slowed by an undisclosed injury. Carton made the semifinals of the Grand View Open to start the year, but from there injury default forced him out. He made a brief reappearance at the Joe Parisi Open later in the month, but also forfeited out before his second match. He appears to be back to 100%, as Brands elected him to face #3 Anthony Ashnault of Rutgers in Iowa’s final first half dual meet, falling 8-4. Logan Ryan – Receiving all but two of the first half starts, Ryan has had a tough start taking losses to #1 Dean Heil, Alfred Baninister, Dante Rodriguez, and Seth Gross. His struggles are not all that uncommon in what most see in a freshman; he struggles with mat wrestling, both holding opponents down and when he himself is underneath. There is room for growth from Ryan, and we may see some of those adjustments as early as the Midlands. 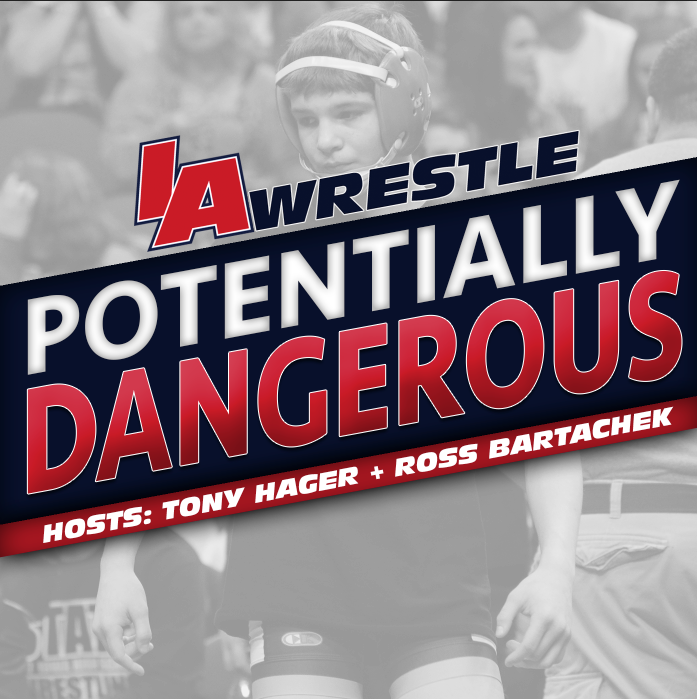 Brody Grothus – Here is what we know about Grothus, for the last two seasons he has been able to beat some really good 149 pound wrestlers, including several All-Americans. Here is what we don’t know, how will he hold up at 141. Iowa fans have been giddy over the news of Grothus dropping to 141 (which we helped break from the man himself on our podcast) dreaming of his ability to turn some of the top 149 guys being a huge advantage at a smaller weight. The truth is we have no good data to judge Grothus yet, but for certain the upside is there. Vince Turk – The biggest thing going for Turk is that he wrestles the way he is supposed to. That’s not to say the other three don’t, but recall five years ago Brands opted to go with Tony Ramos over Tyler Clark, and many speculated it was due to the way Ramos wrestled. Turk is similar to Ramos (they both were coached by Illinois club coach Izzy Martinez) in that he is always on the attack on his feet. The biggest thing Turk needs to work on it appears is his mat wrestling (see freshman Logan Ryan). Turk is 5-2 against Division I competition this season, including owning a 10-8 win over Gross – someone who defeated Ryan in the dual. Turk isn’t a lock for a Midlands invite with a couple lineup battles currently on going, but he certainly appears to have earned one. Outside of Grothus returning, Turk is probably setup to make the biggest statement next weekend.